Welcome to the 3rd Chandlers Ford Scout Group website. On this site we aim to give you the details of the Scouting activities and events that our group is involved in. The 3rd Chandlers Ford Scout Group is looking for additional adult helpers and Leaders. The 3rd Chandlers Ford Scout Group is an active group that has been running since the 1960’s. It has a great reputation for exceptional scouting activities, with 6 sections meeting every week in term time for children aged 6 to 14, all of which are fully subscribed and some with waiting lists. It is great that Scouting is still so popular with young people but there also lies the problem. The Group is in need of adult helpers and Leaders, across all sections. The roles are flexible and varied, and can be planned to fit around the time you have available. It could be a few hours help at a Section meeting or an administrative role on the Committee, and many other opportunities. If you would like to discuss how you can get involved with the Group, please get in touch with Jeff Deacon, Group Scout Leader gsl@3cfscouts.com or Marion Gibbs, Group Chairperson chairman@3cfscouts.com. 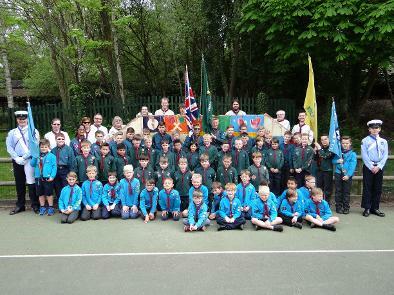 The 3rd Chandlers Ford is an active Scouting Group based in Chandlers Ford. We have our own HQ off the Kings Road - which is also available for hire. Our Groups meet weekly during school term times at our HQ and do other outside events, activities and camps. Please click on this button if you are going to shop on Amazon as it will raise funds for the group. Whether you are a Beaver, Cub, Scout or Leader, we would like you to join us. We welcome new members to the group. The content of this website are the copyright of the 3rd Chandlers ford Scout Group 2012. The views expressed in the website are not necessarily those of the Scout Association.